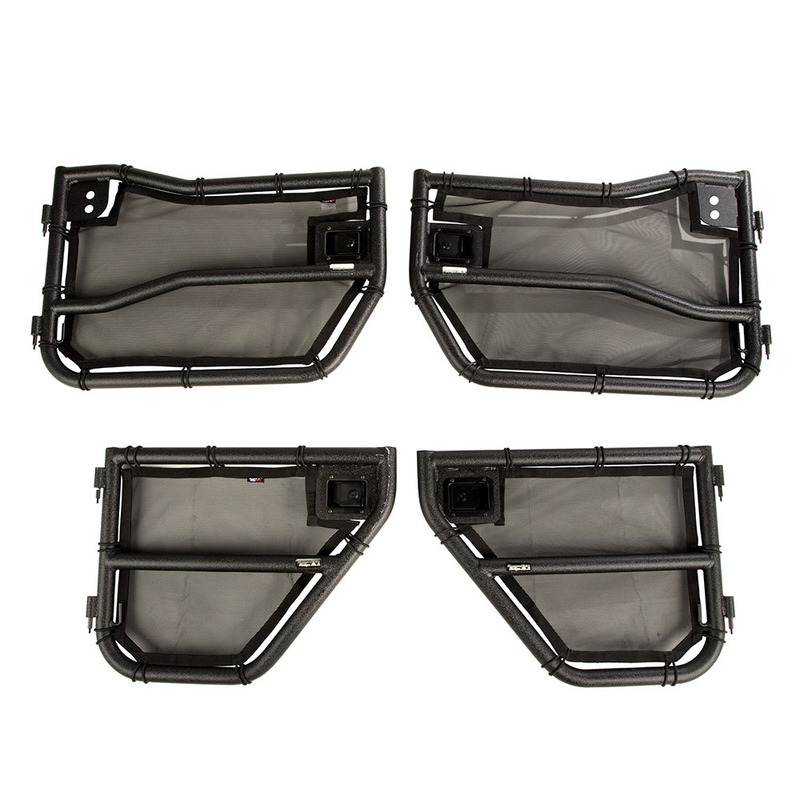 Jeep Wrangler JK Front & Rear Tube Door with Eclipse Cover Kit. They are light-weight and can be stored easily in back of the vehicle when not in use. Include durable and lockable paddle handles and OE-style hinge pins for use with your factory hinges. Set includes a PAIR of Front Tube Doors, a PAIR of Rear Tube Doors and a two PAIRS of Eclipse Tube Door Covers, front & rear. Fit: 2007-2018 Jeep Wranglers JK with 4 Door Models Only. Like the doors-off feel but also want the added security and utility of having doors on the trail? Rugged Ridge Tube Doors are constructed from durable 1.5-Inch mandrel-bent steel tube that is E-coated for corrosion resistance and then textured powder-coated for a long-lasting finish. 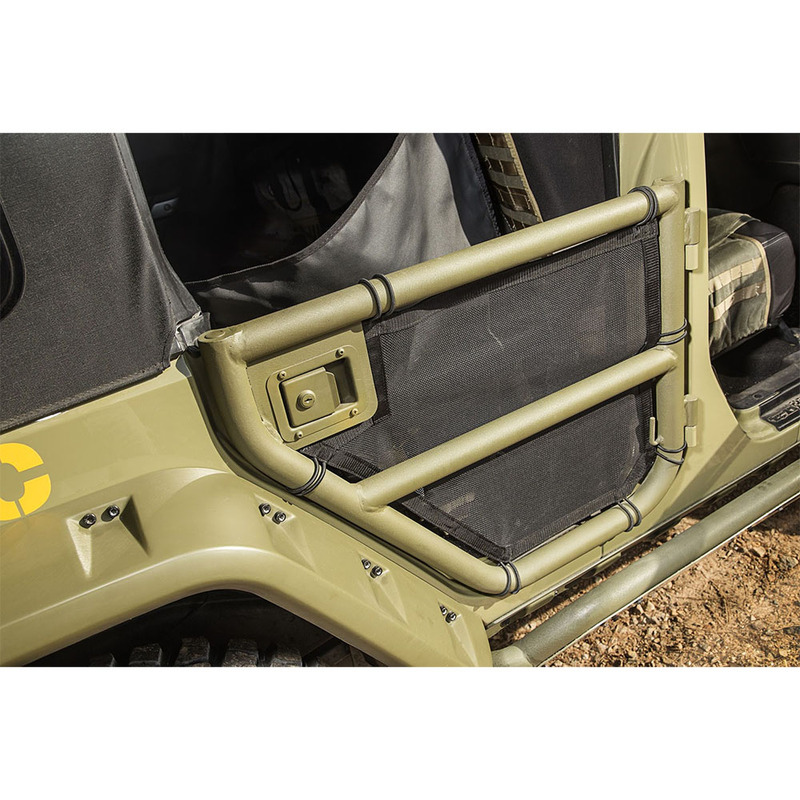 These tube doors feature our exclusive Eclipse Tube Door Covers, durable nylon mesh door screens that offer a barrier from outside, adding a little extra security and containment for the cab and its contents. Rugged Ridge Tube Doors interchange easily with the factory steel doors and require no body modification for installation. Designed to work with your original mirror or, for added convenience, permanently install a pair of Rugged Ridge replacement mirrors (11002.21) for quick door changes. Note: Door are does with Black Textured Finish. Images shown with different colors are for illustration purpose only. 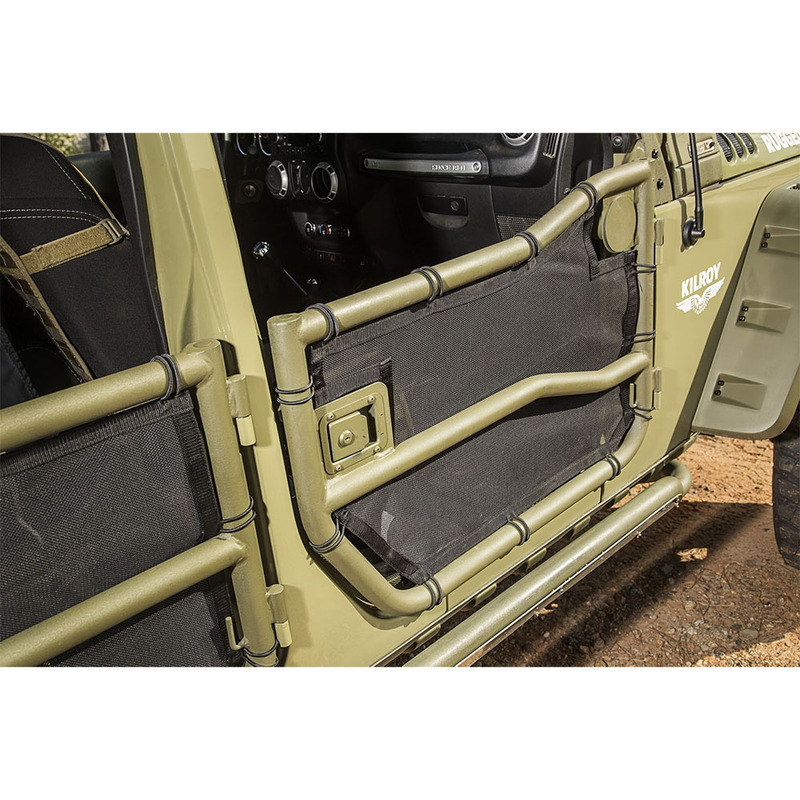 Buy these high quality Rugged Ridge accessories for your 2007, 2008, 2009, 2010, 2011, 2012, 2013, 2014, 2015, 2016, 2017, 2018 Jeep Wranglers JK Tube Doors Today and Save!